Brussels, 27 March 2019. 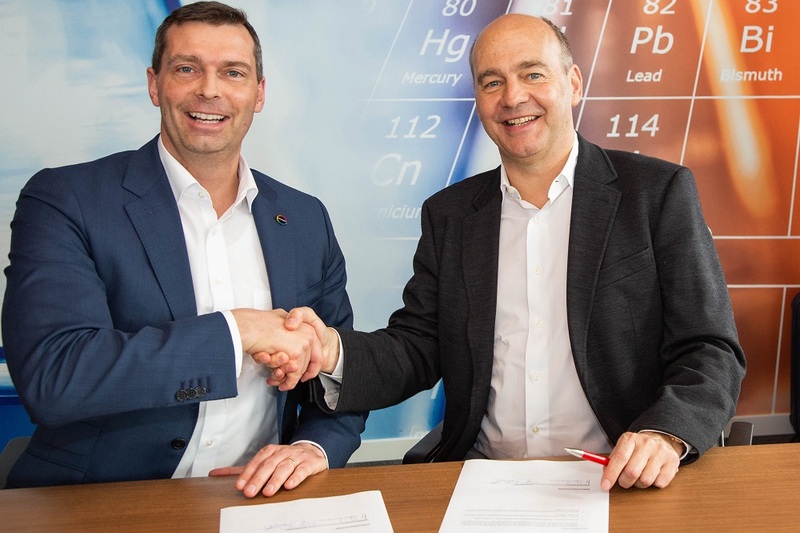 The European Technology Platform for Sustainable Chemistry (SusChem) and the International Sustainable Chemistry Collaborative Centre (ISC3) signed a new cooperation agreement to foster their common mission of advancing Sustainable Chemistry at a European and global level at the SusChem board meeting on 14 March 2019 in Brussels. SusChem ETP, founded in 2004, is a European Technology Platform established by Cefic, DECHEMA, ESAB, EuropaBio, GDCh, and RSC. SusChem's main objective is to contribute to revitalizing research & innovation in Sustainable Chemistry and Industrial Biotechnology in Europe. As a multi-stakeholders networking forum and a technology solutions provider, SusChem works towards advising on technology priorities, at a European level, with a long-term strategic research and innovation agenda (SIRA). Connection to National priorities is achieved via its network of National Technology platforms. SusChem engages, consults and brings together representatives from larger Industry, SMEs, Universities and research technology organisations – being open to the wider society. SusChem technology focus areas include: Advanced Materials, Advanced Processes, Catalysis, enabling Digital technologies as well as Horizontal topics. ISC3, founded in 2017, was established by the German Federal Ministry for the Environment, Nature Conservation and Nuclear Safety (BMU) and the German Environment Agency (UBA). ISC3 has a structure supported by a Research & Education Hub (Leuphana University, Lüneburg) and an Innovation Hub (DECHEMA, Frankfurt) with the aim to also establish regional hubs outside of Europe. It is a globally acting institution, a multi-stakeholder platform and think tank that engages with the private sector, civil society and politics to contribute to international chemicals policies and the formation of a global network for collaboration, innovation and education on Sustainable Chemistry. Activities to achieve such objectives are: dialogues amongst stakeholders, building on a global start-up service and funding, developing a Sustainable Chemistry curriculum, and also working towards a research agenda outlining a common understanding on Sustainable Chemistry, sustainability assessment and cross-sectorial topics.